Have you ever wanted to put notes on your products that are hidden from your customers? 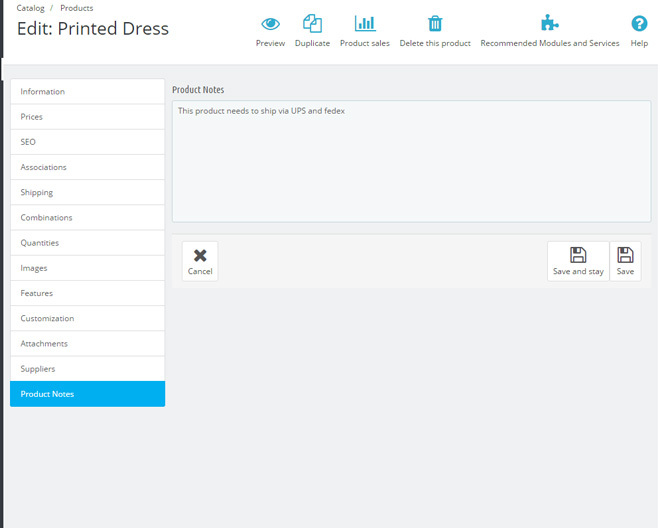 Our Product Notes module will allow you to do just that. 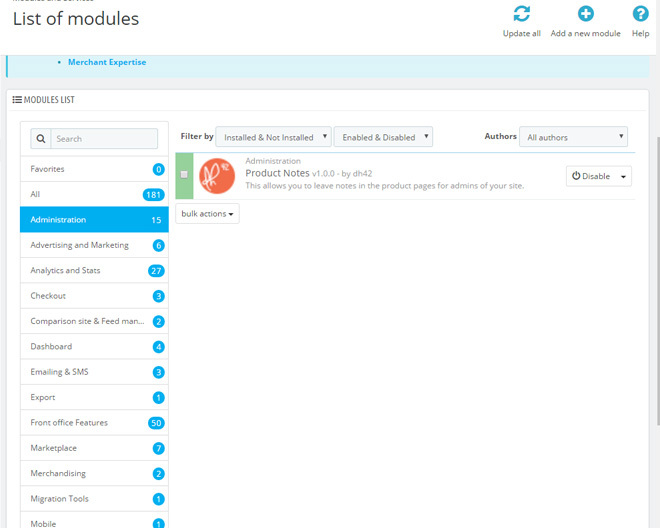 With our module you will be able to enter notes on a per product level in the back office for your other admins to read. You will be able add any kind of note you might need to your products. Some of the ways that are clients have been using the module are; note for forum posts about specific products, notes reminding them of where to re-order the product, a note to tell an admin what kind of shipping package to use, and many more ways. The uses of this module are really limitless.